Adam Ferrier is Australia’s leading consumer psychologist. 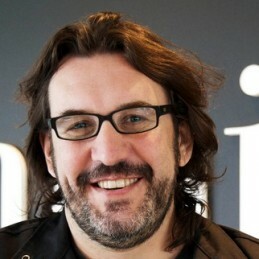 He was the Founding Partner and Global Head of Naked Communications, one of Australia’s most awarded agencies, before selling the company and joining independent creative media agency Cummins & Partners as part-owner and Chief Strategy Officer in 2014. A registered psychologist, Adam obtained degrees in commerce and clinical psychology beginning his career in forensic psychology. He worked in a maximum security prison before switching his focus from criminal behaviour to consumer behaviour and joining marketing consultancy Added Value. During this time he completed his psychology masters thesis in ‘Identifying the underlying constructs of cool people’, and did global cool hunting for brands such as Levi’s and Pepsi. Adam left ‘cool hunting’ to become a Strategic Planner for leading advertising agency Saatchi & Saatchi. Whilst there Adam invented a board game called ‘The Analyst’ which was translated into three languages. Adam co-founded Naked Communications Asia Pacific in 2004. Naked harnessed a behavioural change model, focusing on building brands whilst changing behaviour, and regularly wins ‘agency of the year’ across various disciplines. Clients included Coke, Sony, Weight Watchers, TAC, Renault, and Unilever. Adam sold and left Naked Communications to join cummins&partners late 2013 – being a part of the team that soon became Adnews Agency of the Year in 2014. Adam’s work is most often based on the principles of creativity and behavioural sciences and has won awards at all of the world’s major shows including Gold at the Cannes Lions, The Effies, Clio’s, and ADMA (Grand Prix). He’s also won at D&AD, London Internal Awards, One Show, New York Festival, AIMIA, IAB and others. In 2012 he led the creation of ‘Steal Banksy’, one of only nine ideas in the world to win a Gold Effie and Gold Cannes Lion. In 2013 he won the World Innovation award for his ‘Overstay Checkout idea, and in 2014 Adam won the ‘Cannes Chimera’, a $75,000 dollar prize awarded by the Bill and Melinda Gates Foundation for ideas that can help eradicate global poverty (for ‘The Act Button’). He has also been awarded: Adnews’ 40 under 40 (2010), Mumbrella’s 7 Top Strategists (2011), Australian Creative’s Power 20 (2012), Encore Magazine’s Power 100 (2012) and Australian Creative’s Power 20 (2013). Adam can be seen or heard at; The Gruen Transfer / Gruen Planet, ABC Radio (Sunday nights), MMM Drive national drive show on Wednesdays at 5.30pm, and various other shows (including Celebrity Apprentice and Australia’s Next Top Model!!). He is the author of The Advertising Effect: How to Change Behaviour, and writes for The Australian, Mumbrella and others. His comments have been published in TIME, The Guardian, Fast Company and Shop Till You Drop. He keynotes / speaks at conferences on marketing, ideas, contemporary culture, and consumer behaviour.